The new name reflects the company’s growing mission to transform the lives and health outcomes of people living with diabetes and other chronic diseases by scaling personalized expert coaching and behavior change through the use of technology. Fit4D Inc., a leading technology-enabled diabetes and chronic disease management company based in New York City, announced today at the 2019 Startup Health Festival that it has changed its name to Cecelia Health. This new company name reflects the company’s mission to transform the lives and health outcomes of people living with diabetes and related chronic diseases, and leverage Cecelia Health’s unique data-driven insights gained from its personalized coaching platform to optimize health outcomes at an affordable cost. The new name honors the legacy of a Certified Diabetes Educator (CDE) named Cecelia who transformed the life of CEO David Weingard when he was first diagnosed with Type 1 diabetes at the age of 36. Cecelia inspired him to start a company that provides the same type of expert personalized clinical education, guidance and coaching that David received to all other patients living with diabetes and other chronic conditions. With over 30 million people in the U.S. and 450 million around the world living with this chronic disease, the opportunity to scale David’s one-on-one CDE experience presented an exciting opportunity for innovation. Cecelia Health’s use of proprietary technology, data and insights scales the personal clinician coach to improve population health and quality measures for members of health plans and ACOs, medication and device initiation and persistence for patients of pharmaceutical and medical device companies, and health and productivity for employees of self-insured employers. 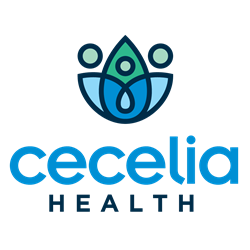 Cecelia Health will further the company’s capabilities to drive these client goals for optimizing health outcomes by expanding its proprietary technology platform and leveraging the data and insights it has gained from hundreds of thousands of patient interactions. Cecelia Health’s moonshot mission is to positively transform the lives of people living with diabetes and related chronic disease states. For health plans and ACOs seeking to improve quality measures, and for pharmaceutical and medical device companies seeking to improve adherence, Cecelia Health is a diabetes and related chronic condition coaching solution that enables Certified Diabetes Educator (CDE) and other expert clinicians to scale their reach and deliver effective, personalized, one-on-one care. Unlike technology only applications or call centers, Cecelia Health optimizes the mix between expert clinicians and technology and unique data-driven insights to cost-effectively deliver measurable outcomes. Cecelia Health has also engaged in numerous joint initiatives with the Juvenile Diabetes Research Foundation, American Diabetes Association, the Diabetes Research Institute and the American Association of Diabetes Educators. For more information visit http://www.ceceliahealth.com.